Professional Service Industries (PSI) has promoted three engineers within its ranks. 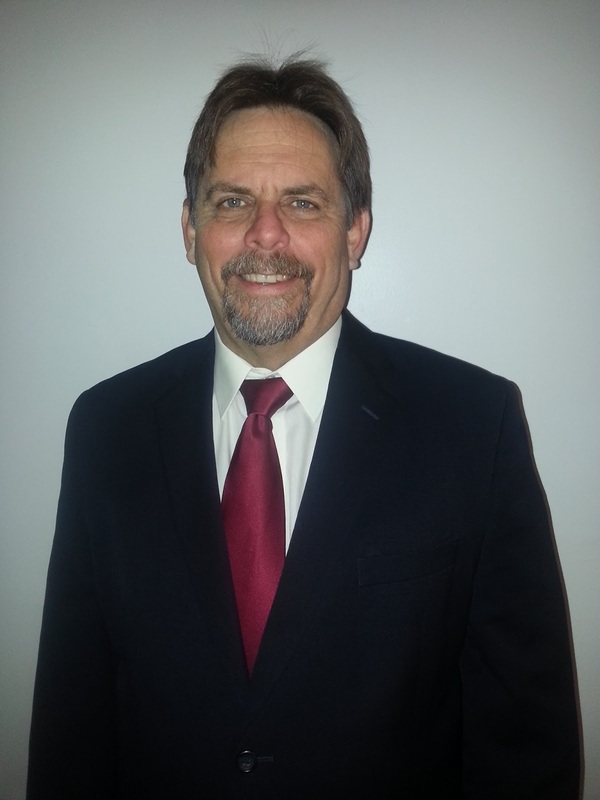 Based in PSI’s Tampa, FL office, Robert Sprehe, P.E. has become principal consultant of its construction services line. He serves a dual role as manager of the Tampa construction services department. Morgan Dickenson, P.E. is now principal consultant for its Geotechnical Engineering Service Line. Based in the firm's Fort Lauderdale, FL office, he serves a dual role as district manager. James Becco, P.E., has become vice president of PSI’s Wisconsin operations. 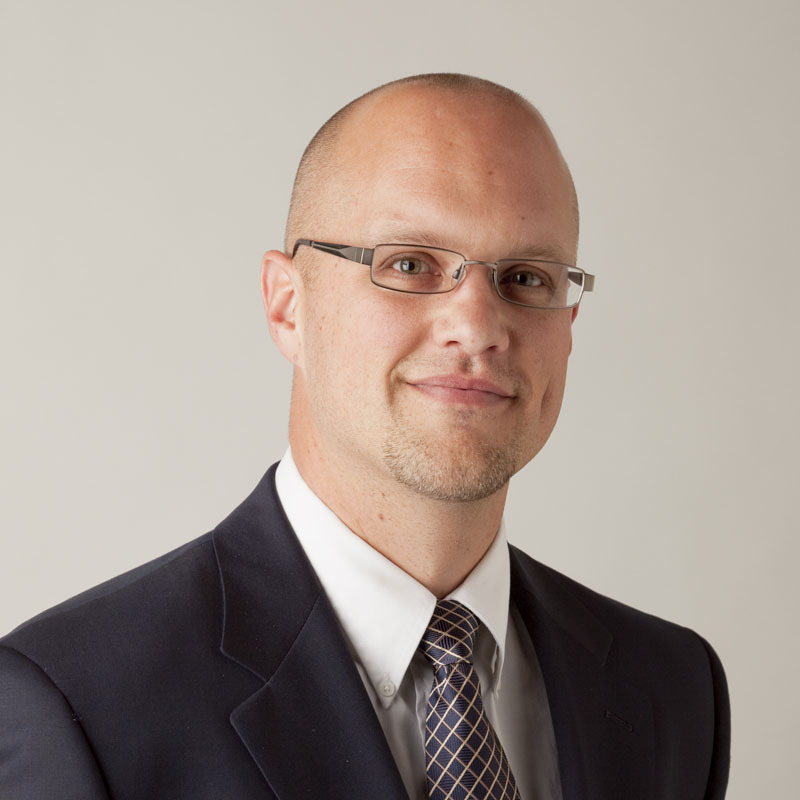 Based in PSI’s Waukesha office, he previously served as district manager and principal consultant for PSI’s Waukesha operations. Sprehe has 12 years of construction materials testing experience, having earned his Bachelor of Science in Civil Engineering from the University of South Florida. He has been a member of the PSI team since 2010. Dickinson has over 35 years of experience with numerous projects including roads, bridges, airports, high-rise buildings, and educational facilities. He earned his Master of Science in Geotechnical Engineering from Northwestern University and his Bachelor Science in Civil Engineering from the University of Colorado. Becco has nearly 30 years of geotechnical engineering and environmental consulting experience. He earned his Bachelor of Science in Civil Engineering from Michigan Technological University. PSI provides environmental, engineering and testing services, including environmental consulting, geotechnical engineering, construction materials testing and engineering, industrial hygiene services, facilities and roof consulting, nondestructive evaluation, and specialty engineering and testing services. Headquartered in Oakbrook Terrace, IL, PSI operates from some 100 U.S. offices with about 2300 employees. Virginia Tech engineers, leading an international team of researchers with members from Florida Atlantic University, Lehigh University, and Cambridge University, say a turbine blade inspired by the downy covering of owl feathers may offer a way to reduce noise from engines or wind farms. Their results were recently presented at the American Institute of Aeronautics and Astronautics Conference in Dallas, Texas. William Devenport, a professor of aerospace and ocean engineering in the school's College of Engineering; second-year doctoral student Ian Clark of S​lidell, Louisiana; research professor Nathan Alexander, and others have focused on a phenomenon called trailing-edge noise. When a blade like the ones on a wind turbine slices through the air, the sharp edge at the back of the blade converts the air's turbulence into sound waves. The resulting noise is often cited as a barrier to the more widespread installation of wind farms because it can be a nuisance for nearby residents. Finding a way to reduce the noise could boost wind farming and increase the availability of sustainable energy. For inspiration, Devenport looked to a species that seems to have solved the problem of trailing-edge noise: owls. 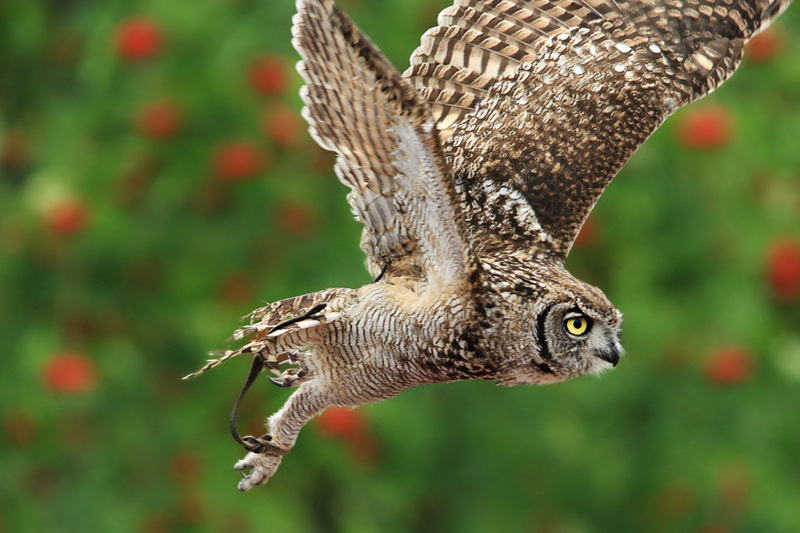 Unlike many other birds, owls can fly silently to surprise their prey. 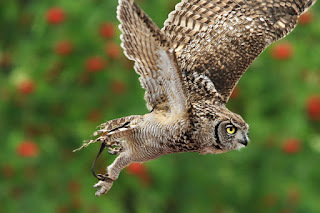 "From an engineer's perspective, that shouldn't be possible," Devenport says, "because if you look at the owl, it's covered in edges, and each of those edges should radiate noise." In fact, when researchers in past studies have sent other kinds of birds, like pigeons and hawks, flying past sensitive microphones, their flapping wings generate substantial trailing-edge noise. But when an owl flies by, the microphones detect virtually nothing. Devenport and his collaborators wondered if tiny hairs that cover the owl feathers could be reducing the trailing-edge noise. To mimic this effect on a wind turbine blade, they designed a set ribs, or finlets, that would sit in front of the blade's trailing edge and manufactured them with 3-D printing technology. In all, 22 different finlet configurations were tested last year by 150 aerospace and ocean engineering undergraduate students as part of a lab course. The finlets reduced the trailing edge noise substantially. Devenport explained that the finlets may chop up the turbulence approaching the trailing edge into smaller eddies that can't generate a loud noise. "Most of the sets we tested last year worked really well, and so we tried to refine it this year," Clark says. Like last year's work, the second round of testing, funded by the Institute for Critical Technology and Applied Science, was performed in the Virginia Tech Stability Wind Tunnel, which has a novel configuration for measuring acoustics. Its walls are made from custom-made Kevlar panels. Sound can travel through, but the air does not. Behind the tightly-stretched fabric, 117 microphones record the noise produced as air rushes over the blade at up to 160 miles per hour. "We think this is a whole new way of looking at noise control," Devenport says. The team has filed an international patent on the design; they are also involved in licensing discussions. While the current design is optimized for wind turbine blades, Devenport and Clark imagine that a similar strategy might work for smaller blades, like the fans in computers and cars. "The end goal is getting it out in the real world and making a difference," Clark says. Schnabel Engineering has promoted Thomas Fitzgerald, P.E. to principal of the firm. He is currently the branch leader of the Greensboro, NC office of Schnabel Engineering South, where he manages a team of over 25 engineers, geologists, and CAD and GIS professionals doing dam projects across the continental United States and Alaska. Fitzgerald has more than 18 years of technical and project management experience in dam-related work, including inspections, hydrology and hydraulics, design of new dams, rehabilitation of existing dams, spillways upgrades, instrumentation, and risk assessments. His experience includes work on all major dam types, from earthen embankments to concrete dams and RCC (roller-compacted concrete). He is a FERC-approved Independent Consultant and Facilitator for Potential Failure Mode Analyses and leads the firm's efforts in tracking FERC’s recent Risk-Informed Decision Making initiatives. Fitzgerald holds a B.S. degree in civil engineering and an M.S. degree in water resources engineering, both from Rutgers College of Engineering. He is vice president of the North Carolina Section of the American Society of Civil Engineers (ASCE), a member of the Roller Compacted Concrete subcommittee of ASTM, and a member of ASDSO, USSD, AWWA, ACI and AISC. He is a licensed Professional Engineer in Washington, Virginia, Oregon, Alaska, North Carolina, New Jersey, Michigan, Kentucky, and Pennsylvania. An employee-owned company, Schnabel Engineering employs over 300 professionals in 18 nationwide locations. The firm specializes in geotechnical, geostructural, dam, and tunnel engineering and offers environmental, geosciences, construction monitoring, and resident engineering services. For more information, please visit www.schnabel-eng.com.